Recently students across the country were standing together against the increase in University fees. What began as a student protest in Wits University became a national Universities shutdown. They had the whole country and beyond talking about the cost of higher education in South Africa. They also directed people’s attention to the country’s inequality and lack of transformation in the corporate world. Truth: Student fees are high and we’ve wanted free education for some time, plus the annual increase in student fees has been astounding, but we never complained – at least not this loud. This protest action may have been started by a small group of friends or the executive committee of a student council, but they had to be in agreement. The resulting movement allowed the nation (students, parents and professionals) to speak louder about this niggling pain. 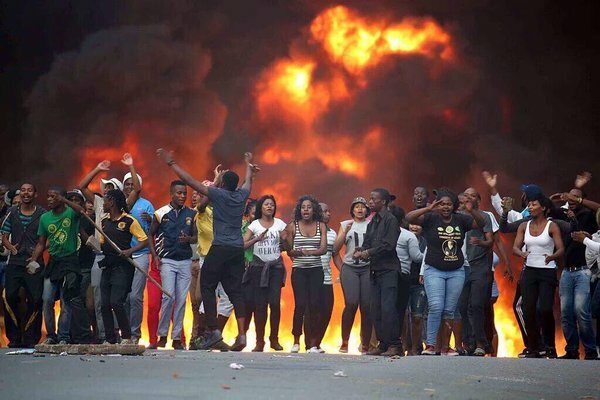 Now, by the power of agreement – #FeesHaveFallen! Personally though, I think we can achieve so much more as a nation. If we take this power of agreement not just to complain to the government about the issues we want fixed, but to actually solve our own problems. Perhaps we can apply our minds a bit better and think innovatively to find better solutions to our problems. I’ll start by giving one suggestion – support local products more than we do international. With everything that we spend our money on, let 60%, at least, be spent on South African products (be it music, food or clothes). It would benefit us more if, for example, the lady who bakes cakes next door was able to have a bigger bakery and employ more people from the same community. I know that due to high labour costs, locally made products are expensive. But we must sacrifice something if we want to make a lasting difference. Taking nothing away from the power of a protest action but when was the last time a movement was started that didn’t need someone higher to make a decision for changes to start happening, but actually started and ended with us? A movement that didn’t need us to march for a week but actually required us to start today: To change the way we live and change the way we treat each other. The starting point is to change the way we think. Then challenge the way others think so that we can all change our actions. None of this though, can ever be achieved unless we agree. It starts within an individual’s mind and their thinking directs their actions. These actions in agreement with others, can impact a nation. ACTION: Support small local businesses! ← For us change makers!